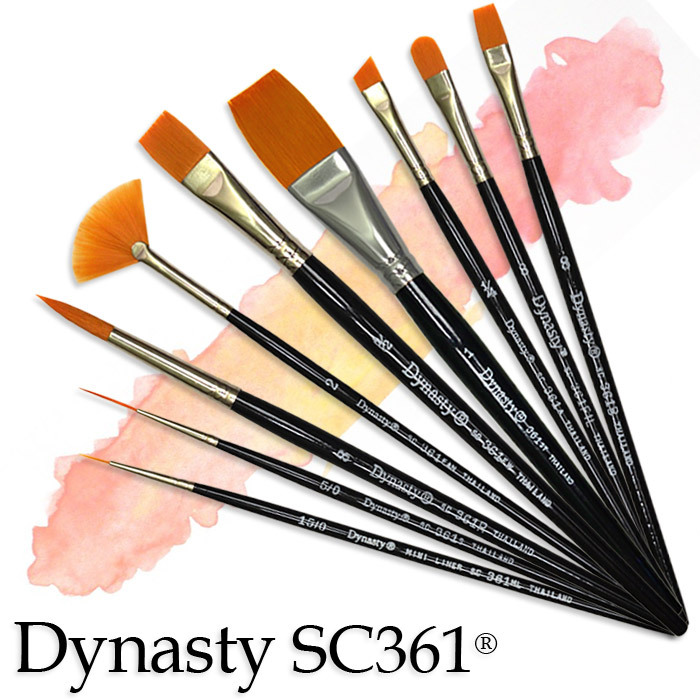 The Dynasty SC361 Series by Dynasty is an amazing addition to any acrylic painter or watercolorists’ tool kit. Made from the finest golden synthetic that outperforms camel hair in every brush category. It has a seamless metal ferrule for safety, attached to a short black lacquered white birch handle for comfort.